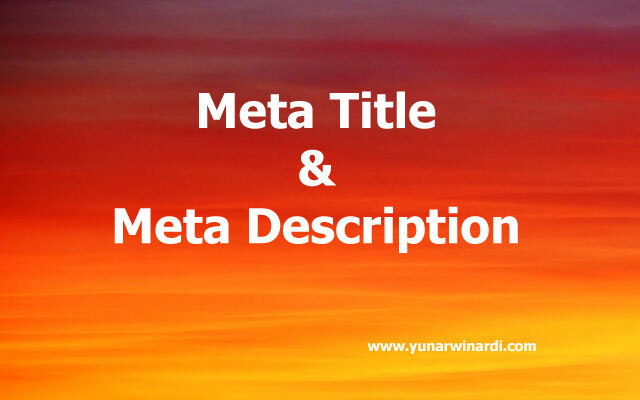 Meta title and meta description are what the Internet sees about your page title and page summary. That is a simple definition of them. When someone searches on the search engine the result will contain all meta title and meta description from the sphere of the internet. Since 2009 Google does not use Meta Description nor Mete Keywords into their ranking factor calculation. I don't use meta title, I will let search engine decide what is the best description of my page on the Internet. Also as that Google no longer uses it. However, some of my friends still using it for a certain reason. 1. Sometimes my title is quite long and I don't want to make it longer by adding blog title. You have to edit your theme manually, backup first before making any changes. Save and done. The changes on the search result will appear on the next bit visit, so could be weeks depending on how often search engine bot visit your website. But you can check whatever the changed is correct by hovering your mouse pointer to the browser tab or by checking the source code.